The main idea of the ROBA Profi Brush sanding principle is the clockwise sanding followed immediately by counterclockwise sanding. Only in this way it is ensured that, independently of the wood grain structure, all upstanding „hairs“ are denibbed. In the main configuration the ROBA Profi Brush machine contains two rotational sanding heads and a pressure roller system. Set-up in this way it is a solid basic layout for those customers who wish an optimized price-performance ratio. 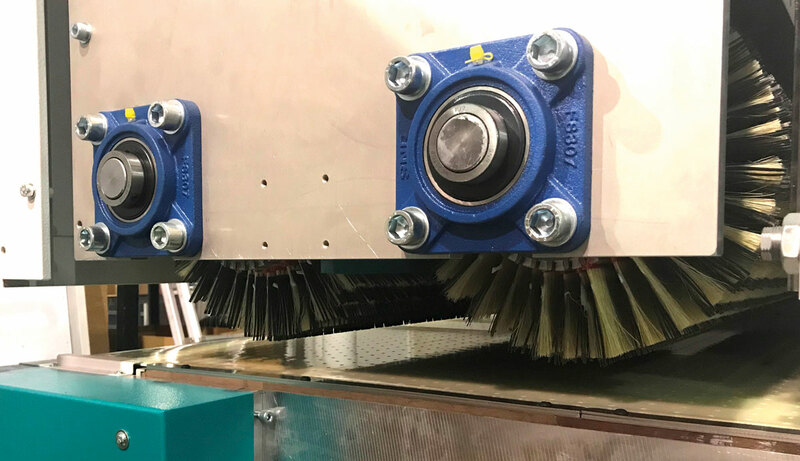 Due to the modular construction of the ROBA Profi Brush series, the machine can be configured to all customer demands. 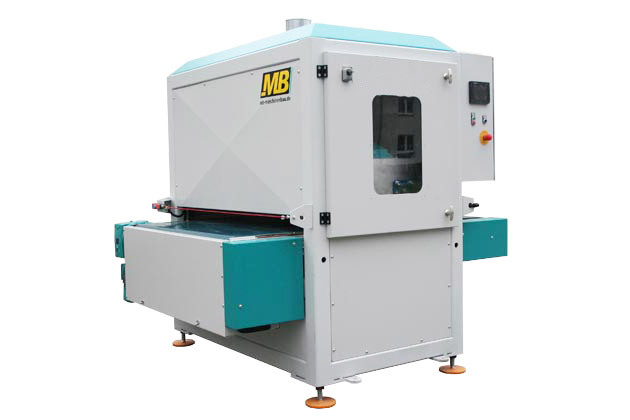 Six sanding head machines, machines with working width up to 2 m and machines for heavy distressing work have already been delivered by MB. Due to the optional, very effective vacuum transport system, small pieces like drawers are no problem to be send through the machine. Optional motorized axis height setting improves operation comfort even more. 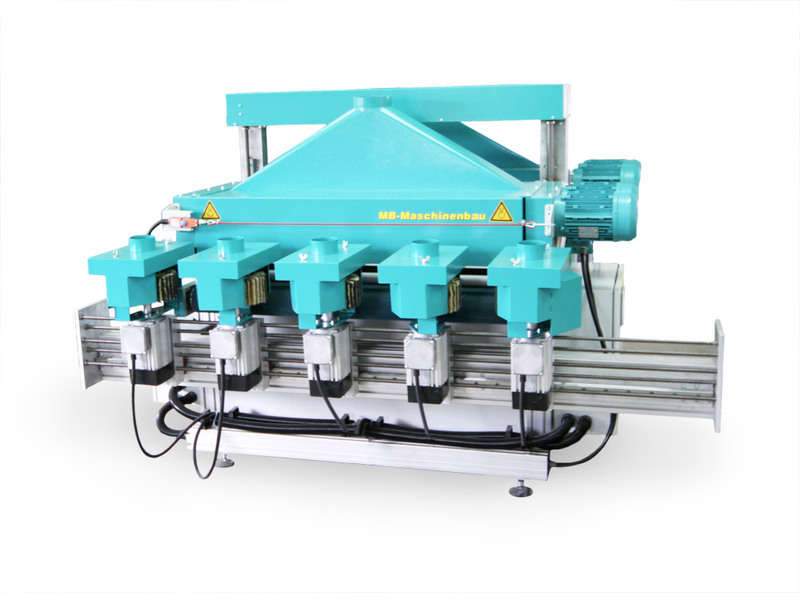 For the use in roller coating lines MB provides a machine configuration with straight-inclined sanding drum set-up. The method of roller coating always produces very sharp edges after the UV drying. This can be effectively eliminated with such machine configuration. The simple, modular construction reduces costs and makes the maintenance and set up very easy. Clockwise followed by counterclockwise sanding ensures best results. Pressure roller system will hold work pieces from 330 mm safely. On request modified for work pieces from 245 mm length. Vacuum transport system as an option available. Very easy to maintain and set up. Best offer for small investments. Infinitely variable setting of all rotational head and feed speeds. Double brush aggregate work clock- and counterclockwise, equipped with easy to change sanding segments via plug-in system.